Under each topic below, you will find presentations, links to audio-visual material, classroom activities and in some cases schemes of work and lesson plans, as well as teachers’ notes. a Resource Pack for teachers, containing all of the above, plus teachers’ notes, a class set of the leaflet The Bahá’í Faith – What is it?, and various activity books, maps and photographs. Dayspring – a Bahá’í magazine for children aged 5 to 12. It is inspired by the teaching of Bahá’u’lláh that “The earth is one country and mankind its citizens”. Published approximately three times a year, you can access PDF downloads by following this link. though not specifically Bahá’í in content, the Jubilee Centre for Character and Virtues of the University of Birmingham has developed a programme of study in virtues education for primary schools. We would love to hear about your experiences of using any of our materials, so do please let us know how you get on, using the contact form. The following Powerpoint presentation gives a general introduction into what Bahá’ís believe, community life, key teachings and the history of the faith. It has been designed for older students to study individually, but it is also suitable for teachers to present to students aged 9 and up. It comes with a worksheet for students to complete after viewing the presentation. A key teaching of the Bahá’í Faith is unity. The faith’s founder, Bahá’u’lláh, wrote that “the well-being of mankind, its peace and security, are unattainable unless and until its unity is firmly established”. There are many more quotations in Bahá’í scripture on this topic, and several of them have been used as the basis for songs and activities suitable for children. The following lesson plan is based on an exploration of a song . ‘Abdu’l-Bahá, the son of Bahá’u’lláh, who took his father’s religion to new parts of the world. The lives of both the Báb and Bahá’u’lláh are exalted above those of ordinary humans, and the life of ‘Abdu’l-Bahá is an example of how human beings should ideally behave. 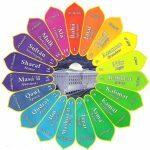 The following Powerpoint presentations tell the story of Bahá’u’lláh, and are suitable for a teacher to use in a classroom setting. Like other prophets and messengers of God, Bahá’u’lláh established certain laws and practices to guide his followers in their daily lives. The Bahá’í calendar (also called the Badi calendar meaning wondrous or unique) is a solar calendar composed of nineteen months of nineteen days each, plus an extra period of four or five intercalary days, known as Ayyam-i-Ha. The Bahá’í year begins on the day of the spring equinox, which always falls on either March 20th or March 21st. The inception of the Baha’i calendar was on 21 March 1844, the year during which the Báb declared His mission and the Bahá’í Faith began. Years are counted with the date notation of BE (Bahá’í Era). The year 173 BE began on 20 March 2016, but because the Bahá’í day begins and ends at sunset, this was celebrated from sunset on 19th March. Among the practices prescribed by Bahá’u’lláh for his followers is that of pilgrimage. Pilgrimage is made to Bahá’í sites in the Holy Land. On a full nine-day pilgrimage the pilgrims are taken to Bahá’u’lláh’s prison cell in Akká, to the house where He was subsequently confined, and to the two houses in the countryside where He ended his days. Adjacent to Bahji, His last house, is the building in which He was interred. This is referred to as “The Shrine of Bahá’u’lláh”, and is the spot Bahá’ís face when saying their obligatory prayers. A pilgrimage also includes prayer at the Shrine of the Báb, where his remains were interred, some years after his execution. The steps and terraced gardens leading up to the Shrine, and beyond the Shrine towards the top of Mount Carmel, provide a fitting and spiritual setting to the building itself. The beauty of the Shrine and the tranquillity of the gardens bring peace to the soul. The effect of the experience upon each pilgrim is naturally personal and individual. Visits to the different historical and sacred sites take place in companionship with others, allowing each pilgrim to take back both personal glimpses and shared experiences. The downloadable presentation includes personal insights from young people about their experiences of Bahá’í pilgrimage, and is suitable for students in Year 6 and above. The spiritual teachings of Bahá’u’lláh, founder of the Bahá’í Faith, emphasise that God is all around us, and that an act of worship takes place everywhere that God is mentioned. A poetic and simple prayer, Blessed is the spot, demonstrates this and can be used as the basis of a lesson. On the first day of every Bahá’í month – every nineteen days – the Bahá’ís in each area come together in a meeting called the “Nineteen Day Feast”. This consists of three parts: the spiritual, business and social parts. They are all equally important. The spiritual part consists of prayers and readings, maybe in several languages, read by various members of the community. The business part is where the Bahá’ís share news, discuss the Fund, and make plans. Every Bahá’í has the right to speak, including children and visitors. The social part is where everyone talks together, shares food and often entertainment. Everyone should enjoy one another’s company. This 5-minute video shows members of a Bahá’í community in the UK talking about the Nineteen Day Feast and inviting viewers to observe this gathering. The following scheme concerns itself with the questions “Where do Bahá’ís worship” and “What does equality look like in the Bahá’í community?”. The presentation listed under ‘Basic information’ above also has a section on community life, as does the accompanying worksheet. Worship can take place anywhere, but in practice the vast majority of Bahá’í devotional meetings take place either in a private home or in a Bahá’í Centre. In the future, each town or village will have its own Mashriqu’l-Adhkar, or House of Worship. Mashriqu’l-Adhkar literally means “Dawning Place of the Remembrance of God”. In the fulness of time, each House of Worship will also offer “institutions of social service” that relieve suffering, sustain the poor, and provide shelter, solace and education – such as a care home, a clinic, a library or a hostel. Each House of Worship is circular in shape, has nine sides, and is surrounded by nine gardens. All the world’s Scriptures are read there, and the building is open to people of all races and of all religions or none. The first to be built was at Ishqabad (Ashkabad) in what is now Turkmenistan. It was confiscated by the Soviet authorities, and later suffered earthquake damage. There is one Mashriqu’l-Adhkar in each continent at present. The latest one was opened in Santiago, Chile, in October 2016. The architecture of some of these buildings is very striking, particularly that of the Chile temple and the one in India. Known as the “lotus temple”, the House of Worship in New Delhi is built on the design of a giant lotus flower. Photos of each of the eight Houses of Worship can be downloaded from the Other Resources page. 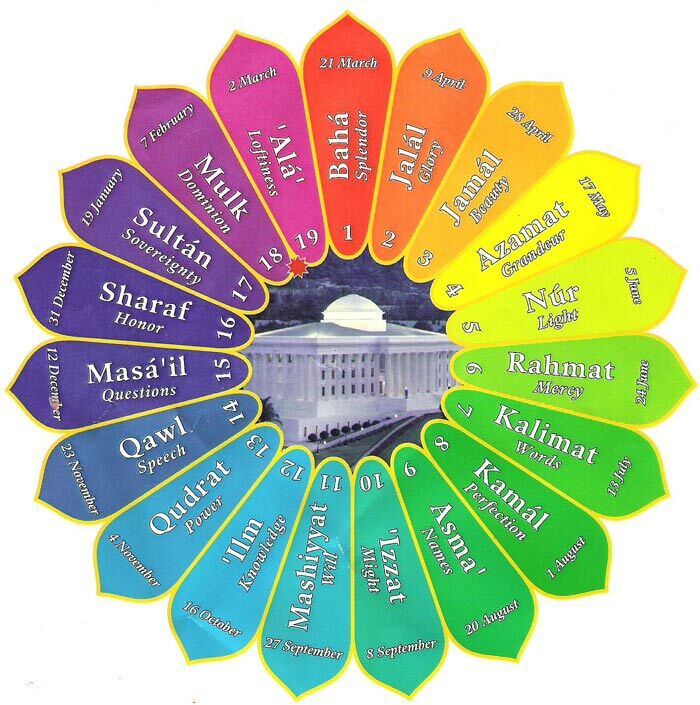 The downloadable presentation shows some of the Bahá’í Houses of Worship and the ways Bahá’ís worship in other places. It is designed to be used with the accompanying lesson plan.